In December of 2018, New Jersey became the first state in the United States to ban wild and exotic animal acts. Governor Phil Murphy signed “Nosey’s Law”–named after a 36-year-old arthritic elephant who suffered cruel abuses during her time in the circus–into state legislature. The bill passed the Senate unanimously over the summer. Just one week later, Hawaii followed suit and Governor David Ige signed a circus animal ban into law. 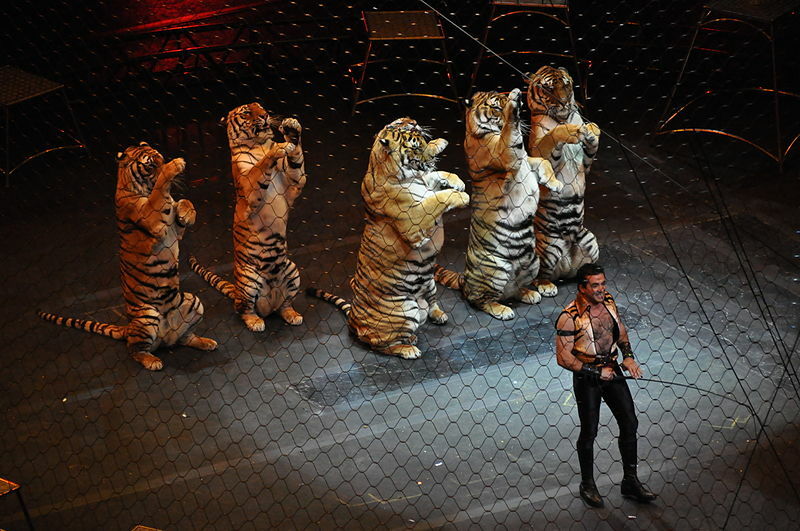 The “Plant and Non-Domestic Animal Quarantine Non-Domestic Animal Import Rules” bans the use and importation of wild animals such as tigers, lions, bears, primates, elephants, and crocodiles in circuses, carnivals, and traveling shows. The main issue is always public safety and health. The concern of exhibiting dangerous animals in an environment where a large number of people may be exposed is significant enough to establish these rules. In 2017, Voters For Animal Rights (formerly Empire State Humane Voters) and The Humane Society of the United States successfully lobbied New York City Council members to ban wild and exotic animal circuses in the city. The legislation, sponsored by former Council Member Rosie Mendez and Former Health Committee Chair (now Speaker) Corey Johnson, went into effect in late 2018. The use of elephants in these types of settings is dangerous to their health and potentially abusive. The Elephant Protection Act furthers this administration’s efforts to fight animal cruelty, and create a stronger, more humane New York. Not only are laws banning wild and exotic animals great for protecting people, but for the animals who are cruelly abused for mere entertainment. In the wild, tigers roam ranges of up to 400 miles. In circuses, they’re confined to tiny transport enclosures––often for weeks or months on end. Lions have suffered heat stroke while being transported from city to city. Elephants and other animals are ruthlessly beaten to learn unnatural tricks. With the rise of animal-free circuses, it’s never been easier to see an entertaining show without abusing animals. But we still have work to do–circuses that use other exotic animals such as lions, bears, tigers and primates are still legal outside of NYC throughout New York State. This year, we must work to make the ban state-wide. Can you help us? Sign up to volunteer today.